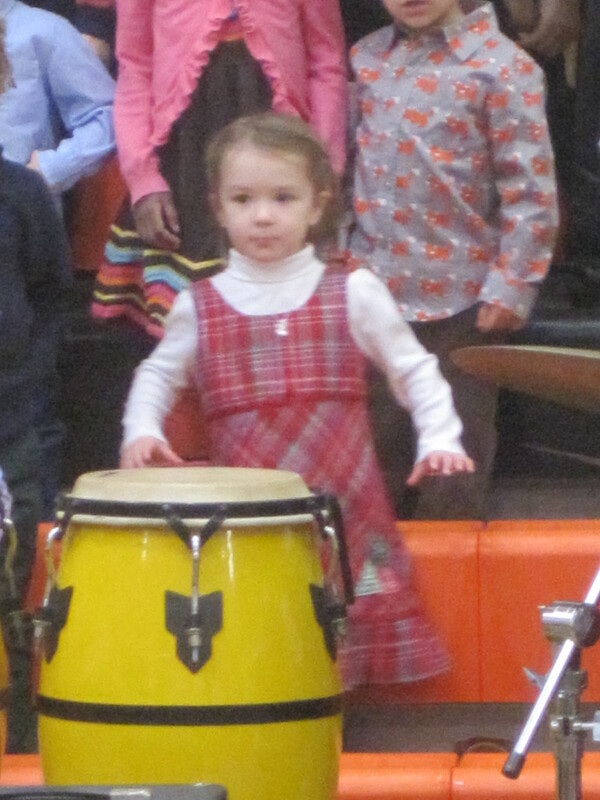 On the day before we flew to Florida, M had her first school program – a holiday sing-a-long. For this, and other reasons, I took Friday off from work. I arrived at 9:30am to help setup only to find that it was all setup and many parents were already there. Now I know for next year that if you want a good seat you have to arrive really really early! I don’t think I’d have been able to see her well anywhere though because she was sitting in the front row and was behind the drummer. I was only able to snap a few grainy photos. She had been dancing and singing all of the songs at home for weeks, so I was really excited to see her perform. She stood pretty still, just taking it all in. She didn’t seem scared, but she didn’t participate as much as I’d thought she would. However, she did dance her little bottom off while the elementary kids were singing. Doesn’t she look adorable in her little hand me down Christmas dress?! 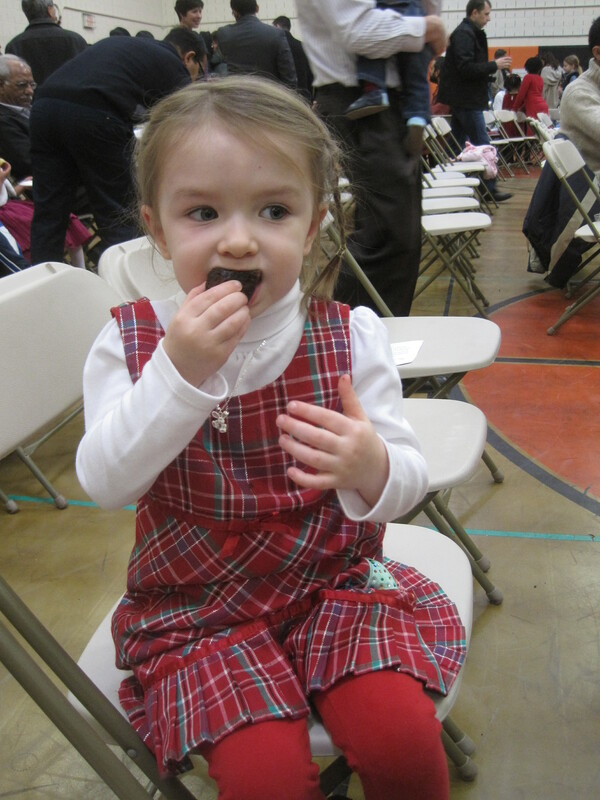 This entry was posted in Christmas, Miss M., Montessori, Preschool. Bookmark the permalink.